Ukrainian servicemen had to return fire. Pro-Russian separatists have shot at the Ukrainian Armed Forces' positions 28 times since the start of 24 February. Three times they used mortars in the Donetsk sector, firing about 30 bombs on the antiterrorist operation (ATO) troops near Pervomayske, Nevelske and Zaytseve. The separatists fired with heavy machine guns, various grenade launchers and small arms on the ATO fortifications near Opytne, Zaytseve, Novoselivka, Mayorsk, Pisky and Avdiyivka, the ATO press centre has said. In the Mariupol sector, the militants mortared the ATO strongpoints near Hnutove and Chermalyk, fired heavy machine guns and grenade launchers near Novotroyitske and Maryinka. 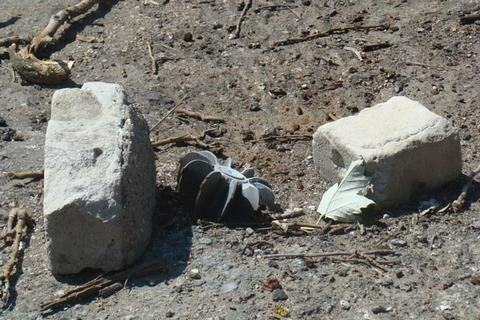 Militant snipers operated near Maryinka and the Butivka mine. Ukrainian servicemen had to return fire with an infantry fighting vehicle and grenade launchers near Novotroyitske. According to the ATO HQ press centre, the militants had launched 84 shooting attacks at the ATO troops in Donbas over the past day, including 69 in the Donetsk sector. President Petro Poroshenko is worried that active hostilities in Donbas may flare up again.